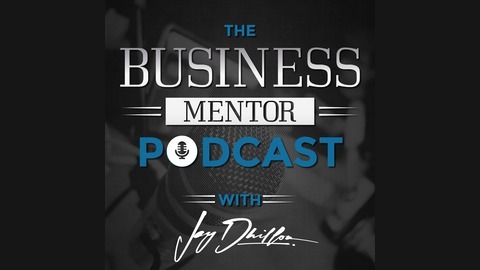 Welcome to the Business Mentor Podcast. This podcast is where we share and discuss the experiences, ideas & happenings in the world of business, featuring some very special guests & experts to give you advice and direction in your journey. Your host, award winning entrepreneur and Princes Trust Business Mentor Jay Dhillon. It’s time to be the hero of your own life story. Aren’t you tired of always playing as the prey, anyway? Life gets tough, and it’s you, and you alone, who could pull you out of that phase. Now’s the time to build the right mindset to prepare yourself on your ultimate success. 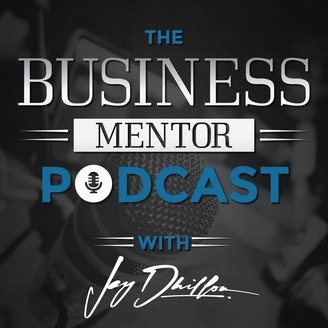 In this episode of The Business Mentor Podcast, Jay talks to Rachele Brooke Smith, an actress and the Founder of the Disruptive Movement. Discover today the different techniques you can use so you can disrupt your thoughts and empower yourself for the next significant steps you’ll do that will change your life. Being the best version of yourself does not require extravagance; use your power within you and take control of your mind, body, and soul to get there. While young Rachele’s friends were attending parties, she was busy preparing for personal development conferences. This was her childhood. It was full of fascination with how the mind works and how important mindset is. Rachele started The Disruptive Movement to help and empower everyone so that they become the hero in their life stories. It’s how you perceive and react to what’s happening to you that could either make or break what you want for your future. Be open-minded. If there’s a part of you, your tasks, or your goals that is not serving you or not making you happy about yourself, then be open on trying new things. Have a healthy routine. Create patterns in your daily life depending on what you want your life to be. If you want to be successful and happy in the future, then you have to win at things that you’ll do today. Harness your power of creativity. We’re all creative beings. Choose to use your creativity to produce compelling experiences to help other people. Remember that you are what you consume. What books, podcasts, and videos are you consuming? Who are the people you are following in social media? What are the foods you’re eating? Practice gratitude. On the end of each day, Rachele records herself speaking about things that she’s grateful of. She relistens to them regularly to remind herself and reaffirm her visions while on her journey. Start with a tiny habit. Being disciplined and deciding to make tiny habits every single day can bring a massive benefit to your life right now and in the future. Create value for others. In the digital world, where most people consume their time online, and there’s a lot of noise when it comes to content, it’s best that you aim to be one of helpful voices even to a small group of people. Learn about the Release Meditation Technique. This leaves everything in the past and opens you up to new possibilities. Have a mentor. Find someone who could help you to refocus when you get lost along the way, to brainstorm your ideas with, and also to reinforce all your visions. Rachele Brooke Smith is an actress, dancer, an inspiring role model and a motivational speaker. She is also the co-founder of The Disruptive Movement, which aims to help others to achieve their goals. Aside from growing her entertainment career and doing motivational speaking engagements, she also produces her own motivational web show called UNBREAKABLE where she takes you behind the scenes on her daily pursuits of her dreams, passions, and goals. Don't Say Yes to EVERYONE! Long Eaton (Nottingham) Property Hub Q&A with Jay Dhillon!